Earring trends have really had their time this year. The ear jacket, crawler, cuff, you name it! 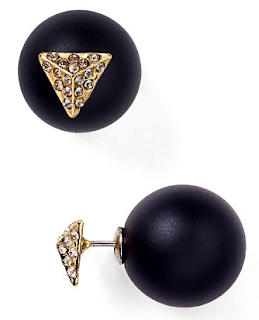 Let's add one more to the trend- the front to back studs. So freaking sleek. 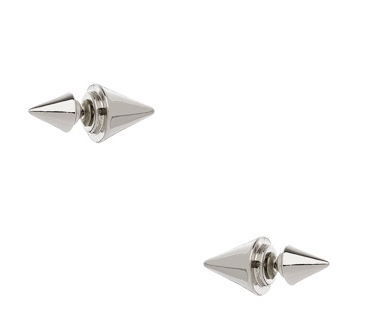 These studs rule. Feminine but so not traditional. Love. These earrings need a leather jacket or an LBD. You pick. 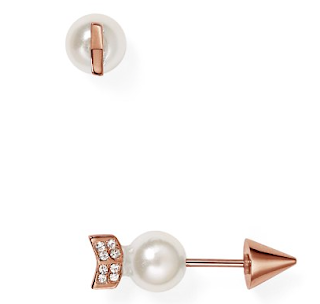 A stunner in rose gold and the pearl mixed with bling and an arrow? So different. The earrings have been quite the trend this year and I love it. 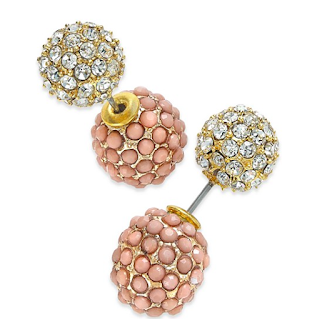 Give the statement necklaces a break and dress up your lobes.